Two case studies outlining the benefits of using ozone and Ultraviolet are presented in this paper. They demonstrate the cost effectiveness and robustness that can be observed when the synergies of these two treatment alternatives are utilized. In the first study, ozone and Ultraviolet disinfection were used at the Weber Basin Water Conservancy District’s Water Treatment Plant No. 3. The ozone system was designed to improve pretreatment, control taste and odor (T&O) compounds, and provide an additional Giardia barrier, while Ultraviolet was used to provide 2-log of Cryptosporidium inactivation. The capital cost savings obtained by using this option, as opposed to using ozone alone, were nearly 50%. In the second study, the effectiveness of ozone and Ultraviolet were assessed on the challenging water of Lake Okeechobee. With the goal of meeting all US Primary and Secondary Drinking Water Standards, the data analysis indicated that a combination of ozone and Ultraviolet disinfection would result in the most cost-effective option. The use of ozone to reduce color and decrease Ultraviolet transmittance (UltravioletT) resulted in substantial cost savings by decreasing the ozone dose over what would be required to achieve Cryptosporidium disinfection and allowing for the elimination of an ozone contactor. Furthermore, the increase in UltravioletT that was observed resulted in a smaller Ultraviolet system, thereby reducing the cost of the overall system even further. Ozone is widely used in the drinking water treatment industry to meet multiple treatment objectives, including: disinfection, T&O removal, color removal, iron and manganese control, and removal of organic matter (when combined with biologically active filters). It is well known that ozone is effective for the inactivation of Cryptosporidium; however, the ozone dose required to achieve a given inactivation is dependent on water quality and especially temperature. The CT required to achieve 2-log of Cryptosporidium inactivation increases by a factor of approximately 10 as the temperature decreases from 20 0C to 1 0C (Rennecker et. al., 1999). Disinfection with ultraviolet (Ultraviolet) light is an emerging technology for Cryptosporidium inactivation. This paper discussed process synergies that were observed in two studies when using both ozone and Ultraviolet processes in the treatment train to achieve long-term regulatory compliance. In contrast, the treatment goal for Ultraviolet disinfection was to provide 2-log of Cryptosporidium removal. Based on this treatment alternative, new cost estimates were developed. The cost estimate for the ozone and Ultraviolet option are compared to the cost estimates for ozone alone in Table 1. Based on the cost effectiveness and the benefits listed above, the Weber Basin Water Conservancy District selected the ozone and Ultraviolet disinfection option. The plant expansion design has been completed and construction is expected to be finished sometime in 2003. Carollo Engineers was selected by the U.S. Army Corps of Engineers (USACE) and the South Florida Water Management District (SFWMD) to conduct a pilot study as part of their Comprehensive Everglades Restoration Project (CERP). CERP is an $8 billion project designed to capture freshwater from Lake Okeechobee, that would otherwise be diverted to the ocean through canals, and direct it back into the Everglades ecosystem for restoration. This particular project evaluated potential options to treat Lake Okeechobee water for an aquifer storage and recovery (ASR) program that will ultimately include over 300 wells with an ultimate treatment capacity of over 1.5 billion gallons per day (bgd). During dry months, this water will then be pumped from the ASR wells and directed back to the Everglades. Given the challenging water quality characteristics of Lake Okeechobee (Table 2), Carollo Engineers, in collaboration with ASR Systems, University of South Florida, and EET, proposed the use of bank filtration followed by ozonation and/or Ultraviolet disinfection to meet the requirement of all U.S. Primary and Secondary Drinking Water Standards. This unconventional treatment train was selected because it produces no residuals, has little (if any) chemical requirements, and offered a multiple barrier approach to pathogen control. The pilot process train consisted of a simulated bank filtration system where the filter effluent was directed to two parallel processes: ozonation and Ultraviolet disinfection (an Aquionics medium pressure system). Near the end of the study, the system was reconfigured to test ozonation and Ultraviolet disinfection in series. expensive disinfection process. As a result, cost estimates were developed based on an ozone and Ultraviolet disinfection system that would use the advantages of both technologies to address the regulatory requirements of the project. In order to accomplish this in a cost-effective manner, the ozone system would be designed to treat the high color of the water and to increase UltravioletT, thereby resulting in a smaller and less expensive Ultraviolet system required to meet the disinfection challenges. The use of ozone in this way resulted in a smaller ozone system, in addition to eliminating the need for an expensive ozone contactor, since long HRTs would not be required to obtain disinfection credit using ozone. Cost estimates based on the transferred ozone dose were determined from quotes provided by the equipment suppliers. The estimates are provided in Table 3. The synergies of ozone and Ultraviolet disinfection result in a robust treatment process that is capable of treating a wide range of water quality issues and meeting multiple regulatory requirements. In addition, the complementary mechanisms of each process can result in significant savings in both capital and operation and maintenance (O&M) costs when they are designed to meet a particular goal. At the Weber Basin Water Conservancy District’s WTP No. 3, these synergies were exploited to result in an approximate 50% savings, when compared to the use of ozone alone. This was achieved through the design of a smaller ozone system to treat T&O compounds, improve pretreatment and serve as a barrier to Giardia. In contrast, the Ultraviolet disinfection system was designed to obtain the required Cryptosporidium inactivation credit. Similarly, the advantages of ozone and Ultraviolet disinfection were observed in the CERP ASR project. The high organic content of Lake Okeechobee translated into a high-colored water, with low UltravioletT and a very high oxidant demand. These characteristics precluded the use of either ozone or Ultraviolet alone to meet the desired finished water quality goals. The results of the study indicated that optimal treatment and reduced cost would be observed by using both ozone and Ultraviolet disinfection. 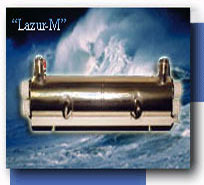 Sizing of the ozone system to decrease the color of the water and increase the UltravioletT resulted in substantial capital and O&M savings by decreasing the size of the ozone system, eliminating the need for an ozone contactor, as well as reducing the size of the Ultraviolet disinfection system. parvum Oocysts with Ozone. Wat. Res. 33 (11), 2481-2488.